I just attended a conference with over 40 speakers on this topic. Actually the main focus of the conference was centered around fat but most speakers centered their talks arounds the impact of autoimmune diseases on the human body. 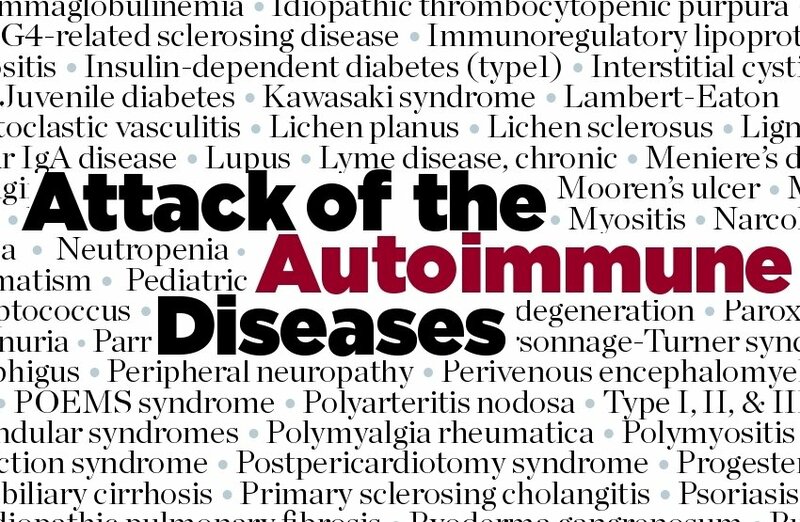 What is Autoimmune and Why is it Important? Autoimmune refers to a condition where the body’s immune system attacks the body. Generally it attacks specific organs as shown in the graphic above. In fact, it really attacks all organs and what shows up is the weakest link. Generally your genetic makeup determines which organ will be the weakest link – it varies from person to person and that’s why autoimmune has so many faces. It can show up in many people as Hashimotos because the immune system has been attacking the Thyroid for years. Many of these symptoms don’t show up for 5-7 years. Of course if your doctor knew the right tests to administer and if insurance would pay for them, these conditions could be detected many years before they actually started producing symptoms. With autoimmune, tests will show widespread attacks or anti-bodies for many organs years before one or more start to fail. There are as many symptoms as there are organs in the body. Suddenly it’s harder to keep your weight down and you find you’re eating more and craving things you didn’t used to eat. So you start increasing weight. You may become aware that you’re fatigued more often and don’t have the energy you did and you might think that is aging but it isn’t. Your doctor might tell you your blood sugar is up – your triglycerides – a measure of how much unused sugar you have floating around in your blood. You might be diagnosed as pre-diabetic or having metabolic syndrome – a short list of factors that point to early-stage diabetes. But again the symptoms can vary and they generally come on fairly slowly over time. Your skin might start to become blemished or you might have more indigestion more often, you might have problems with sleeping, or any number of things pointing to a change in your metabolism – your doctor will say it’s just aging but that’s because he doesn’t believe the human body was made to care for itself for a much longer period than most doctors believe in. In fact, if you want to get a better description of the symptoms just watch the drug commercials on television. The pharmaceutical industry will provide a variety of drugs that suppress the immune system. They won’t cure the problem that caused these symptoms because that would result in selling you a lot fewer drugs so they’ll sell you drugs that suppress or compromise your immune system and temporarily prevent it from attacking your suffering organ, or anything else for that matter. When you hear the mandatory warnings note that they always have to do with telling your doctor if you have certain symptoms already that would require an immune response to infection, etc. Meanwhile as the medical establishment prescribes insulin, or Synthroid, or a variety of other medications that only mask the symptoms and while the drug companies make an ever-increasing array of drugs and educate doctors in how to diagnose and prescribe, the real underlying cause remains hidden because there is not a lot of money in curing people permanently. Make no mistake, autoimmune has already been proven to be reversible and curable. It’s already a fact but nobody selling, dispensing, or prescribing drugs is going to tell you that. For over 20 years, functional medicine doctors have been diagnosing and treating the various forms of autoimmune. 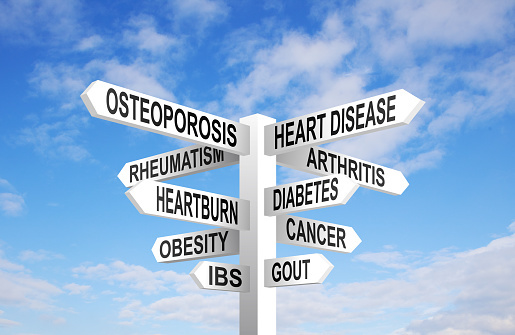 It has only been in the past 5 years that these doctors and the many researchers have begun to realize that there is one root cause for all of the chronic diseases that have only shown up in the past 40 years. …have as their underlying cause, chronic inflammation. Explained in more detail in several posts on this website, inflammation is the root cause of triggering the autoimmune response and a part of a downward spiral where cause and effect feed each other until it is difficult to determine whether inflammation caused autoimmune or vice versa. Inflammation occurs for a variety of reasons but it generally refers to the triggering of the bodies immune system to fight off a perceived infection. When you have a cut it is normal for the body to use temporary inflammation to cure the cut. But that response comes and goes fairly quickly. A normal state in the body would be that no immune response or antibodies are triggered day to day because they are not needed. But when the body perceives a threat it generates the immune response and the body is continually in a state of inflammation. That inflammation and immune response in turn causes all sorts of “risk factors” like high cholesterol, blood pressure, high blood sugar, and more. But what is the most common cause of chronic inflammation? What if instead of developing a drug to fight the symptoms we just kept asking the question, “Why is there inflammation?” – this is what functional medicine does – it keeps asking “Why” until it gets to the root cause of the problem. And the root cause it surprising because it’s gluten. The most important discovery for this century is that ALL HUMANS, and most animals, are not designed to eat wheat, barley, rye, or any derivative thereof. I’M NOT SAYING SOME PEOPLE, OR ONLY THOSE PEOPLE WHO ARE ALLERGIC TO WHEAT – I AM SAYING THAT NO HUMAN BEING WAS DESIGNED TO EAT WHEAT. Why? Because wheat and other foods derived from grasses erode and damage the gut OF ALL HUMAN BEINGS. Sure, cows have a different digestive system and their stomachs are designed to eat grasses, but humans are not cows and eating wheat slowly but surely damages and erodes the gut until sooner or later we develop a “leaky gut” – a gut that has been eroded to the point where undigested food particles start to slip through the cracks and into the blood stream. When this starts to happen then various foods that we eat often begin to bind to proteins and cells in the body that belong to various organs and then new combined proteins are now seen by the body’s immune system as “the enemy” and then eating more of that food just continually triggers the immune response – inflammation. AGAIN, HUMAN BEINGS WERE NOT DESIGNED TO EAT WHEAT. Dr. Osborne provides detailed insight into this issue in his book “NO GRAIN NO PAIN” but what I’m giving you in this post is the bottom line of listening to dozens of speakers – doctors who have cured patients permanently of their autoimmune diseases and researchers who have proven without a shadow of doubt what the underlying cause is. If you eat grains – bread, pastries, any kind of refined flour, granola, granola bars, it doesn’t matter what form it takes, and any of the thousands of packaged food items that also contain wheat or gluten, then 5-7 years down the road, and sometimes longer, you’re going to start to notice the symptoms of autoimmune. And you’ll no doubt think it is aging and your doctor will agree with you unless he or she is a doctor of functional medicine in which case they’re schedule you for a number of tests and then systematically find the root cause issue. But while you are waiting, they’ll tell you to stop eating wheat. I don’t mean to trivialize the realization that humans cannot eat wheat. Our entire agricultural system is built around wheat because it’s easy and cheap to grow, it’s a significant source of calories and protein, and if everyone in America stopped eating wheat tomorrow our entire economy would collapse. But it’s also a significant source of toxins over and above it’s basic mismatch with the human digestive system. GMO wheat crops dominate our food system. These are seeds genetically modified to withstand the effects of RoundUP – the product from Monsanto that now has been discovered to not only contain Glyphosate, a potent insecticide, but also some hidden petroleum distillates that were not listed as “active ingredients” but most certainly are and to boot at 10X more dangerous than the Glyphosate. GMO plants absorb RoundUP like a sponge and have been found in our entire water system, in human urine samples, and even in organic crops due to overspray and ground water contamination. And besides our basic reaction to wheat, all of those ingredients mentioned in RoundUP are toxic hormone disrupters that not only cause inflammation but also disrupt the basic metabolic responses of the body. So WHEAT IS A NON-STARTER FOR MORE THAN ONE REASON. Will Eliminating Wheat Solve All My Problems? We live in a complex environment with complex intake of nutrition and exposure to toxins. You might also be allergic to other common foods because “leaky gut syndrome” opens the doors for you to become allergic to more than just wheat. Wheat is an automatic, but leaky gut might also make you allergic to dairy products – something most of us eat frequently and therefore stand more chance of creating antibodies and an immune response. So we have to get off wheat for 30 days or more to begin to repair the damage and in the meantime there may be other contributors. Aside from wheat when we’re older and we’ve had a steady diet of fish for instance, we might have a buildup of mercury from eating the wrong fish and that can contribute to our inflammation as well. So testing is important to help us understand what elements are contributing to inflammation. As well, there are many environmental contributors of toxins that we might be sensitive to. Chemicals we use in the home, garden, garage, and people spraying in local fields, contribute greatly to our home environment, a place where we spend at least ⅓ of our time. The #1 recommendation among those who study and analyze the source of toxins at home is to get a HEPA filter and clean your home air as much as possible so that you can sleep and live at least part of the time without exposure to toxins that will trigger inflammation. Of course if you’re going to address inflammation then you have to get serious about sugar and carbohydrates in general. Sugar, soft drinks, and too much fruit (fructose) and packaged foods with high fructose corn syrup are sources of inflammation above and beyond most anything else you ingest. Grains including refined flours are converted to sugar in your body very quickly and so have the same value as sugar in producing chronic inflammation. Your body sees blood sugar as the enemy and quickly generates cholesterol to fix the problem. That cholesterol of course attaches itself to your arteries and the story is clear from there. 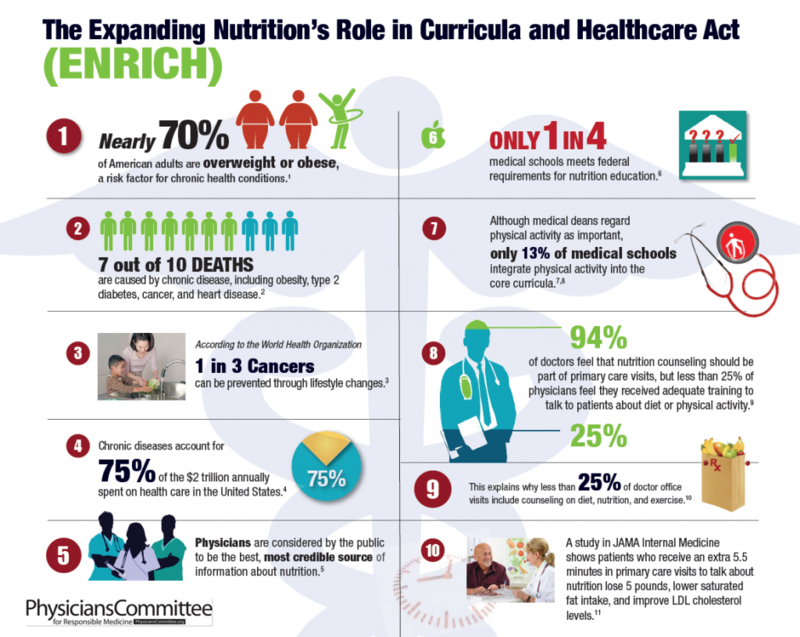 Most people who completely eliminate all sources of sugar and grains from their diet report immediate drops in blood pressure and reduction or elimination of many of symptoms associated with autoimmune and inflammation. And don’t underestimate the effects of caffeine. Not only does it activate your adrenals but most coffee beans come with a toxic mold content that will definitely trigger inflammation. At the end of the day, eliminating a lot of things for 30 days or more is the best test you can use. If you feel better, and you most likely will, then you can decide whether feeling good and being healthy is more important to you than eating what you want. We can’t ignore these “big picture” issues that we may have escaped for now, but may discover shortly to be a major factor in our own personal health. 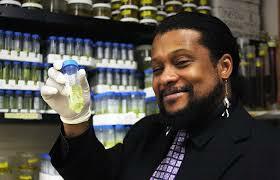 Endocrine Disrupting Chemicals is the subject of a study completed by Tyrone Hayes, Ph.D., a professor of integrative biology at the University of California. This article tells the story of how Hayes was hired by Syngenta to study the effects of Atrazine and when he would not comply with their wishes, went on to complete his own research to expose not only the serious threat to society but the way in which companies like Syngenta among others poison our environment and then sell us medications to counteract the effects. Read Dr. Mercola’s article HERE. If you haven’t been reading my articles on this website, I will simply summarize that anything in our environment or food system that causes inflammation causes obesity, diabetes, Alzheimers, heart disease, auto-immune disease, and more. Chronic inflammation IS chronic disease. It’s advice like this that is causing the problem. 50% of Americans either have diabetes, early stage diabetes, or metabolic syndrome which is the precursor to diabetes. Do we really believe that the current advice on diet is working? The Fat Summit 2 was a collection of interviews with leading experts around the world on the subject of diet, obesity, diabetes, fat, and carbohydrates. The overall conclusions and research-based findings are astounding. The American Diabetes association is still recommending you eat 60% carbohydrates and before they had insulin doctors would prescribe low carbohydrate diets with plenty of fat – up to 70% of the diet. And many patients were cured long before insulin which definitely doesn’t cure anyone. It is abundantly clear that eating fat doesn’t make you fat, and this is supported by scientific studies, and eating carbohydrates does – also supported by plenty of scientific evidence. So continuing to feed you carbohydrates when they’re making you sick and killing you is a great plan if you’re selling insulin and related products. But insulin doesn’t cure diabetes. In fact it makes it worse over time and eventually kills you. So insulin doesn’t cure diabetes, it simply gives you a way to handle excess blood sugar caused by the wrong diet. And it causes a host of other health issues which eventually kill you. Diabetics who take insulin don’t get better. And eventually the other side effects and conditions cause you to need other drugs – ie. diabetic nerve pain, etc. Ever since insulin has come on the scene, type 2 diabetes and obesity along with heart disease, cancer, and more have steadily increased at geometric rates. Coincidence? 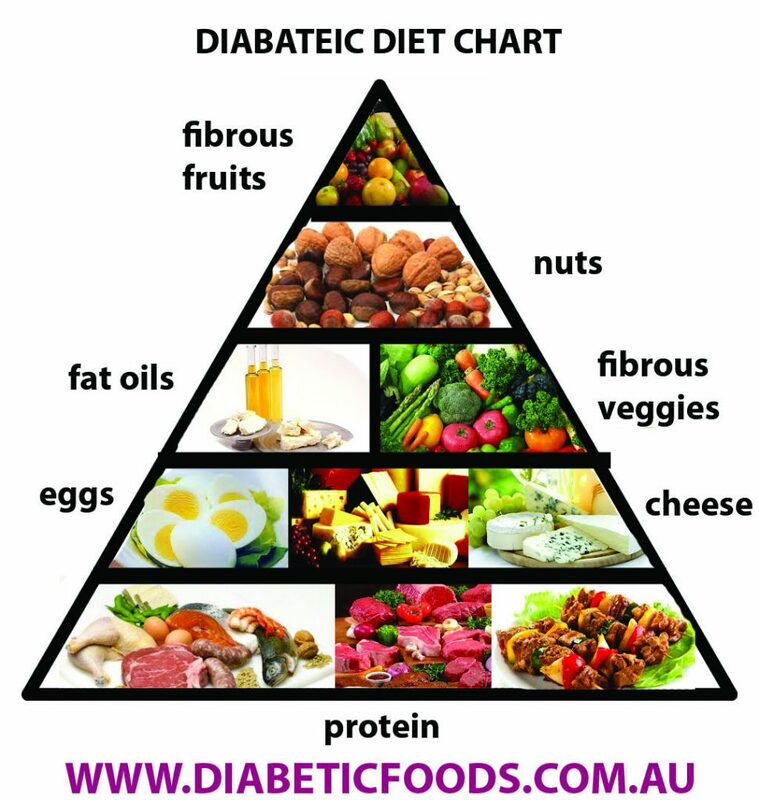 Before that time, our cure for diabetes which worked was low carb high fat diet. Carbs cause blood sugar which causes insulin which stores fat – real simple, not rocket science. And insulin also inhibits leptin, the hormone that tells the brain “you’re full” so we don’t get fat. In fact this has been disproven many times over. And beyond that, carbohydrates is the only food type that has no minimum daily requirement – the human body literally doesn’t need them. Eating carbohydrates drive up and spikes your blood sugar causes insulin. Eating fat does not affect your blood sugar at all, creates more ketones and your brain and organs of the body love ketones – this is their natural energy source – not glucose. But people who advocate fat makes you fat don’t distinguish between good fats and bad. Until the last century we didn’t have many sources for bad fats available to us. We didn’t have vegetable oils including corn oils, and we did’t have packaged foods. So our sources of bad fat have only grown relatively recently. Meanwhile olive oil, low-mercury fish, coconut oil, avocado oil, and avocados are just a few of the abundant sources of high quality fats. Nothing wrong with pasture-raised chicken and grass-fed beef either. Advice from the American Diabetes association aside, the experts are starting to recommend 70% fat, 25% protein, 5% carbs. Now if you’re taking insulin you can’t go cold turkey on carbs. You have to make this change slowly and stay under your doctor’s supervision meaning monitor your blood sugar constantly and don’t just shoot insulin according to the old formula without checking. Most patients have reported getting off insulin within 6 months or less. And you’ll find this approach will cause you to lose a lot of weight as well. Carbs make you fat. Fat doesn’t make you fat. Sure you need proteins but how much? Proteins have their own share of carbohydrates and fat. The fat can be healthy if you’re eating grass-fed beef or pasture-raised chicken and eggs, but too much protein can increase your inflammation and that’s not going to help you with hunger or pain. Eat fat with all your vegetables – put a little olive oil on your veggies or some grass-fed butter. Always eat vegetables with fat. Stop eating grains of any kind and stop eating processed grains including cereals or anything in a box. Stop drinking sodas and stop putting sugar on or in everything. Minimize fruit at least until you get results. Double up on veggies – steamed, raw, salads, etc. Reduce your meat consumption to 15-25% and replace it with veggies to keep you full. Eat a main meal at midday. Eat your lightest meal in the evening. Engage in periodic fasting by skipping a meal.